We are a highly recognized name, when it comes to manufacture ISO standard paper type fuel filters. Our 1.1 Ltr Cloth Type Fuel Filter for Tata HCV are synonymous with reliability and durability and offer high functionality for many years to come. These fuel filters can also be customized as per the drawings and specifications of our clients. We are looking mainly for foreign queries. We are successfully meeting the varied requirements of our clients by providing the best quality range of Refractory Cloth Filter. 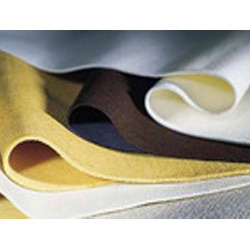 We are a highly experienced company involved in the manufacturing of the performance centric Cloth Filters. This product is a simple and cost-effective appropriate technology method for reducing the contamination of drinking water and henceforth is widely used in households and for commercial purposes. 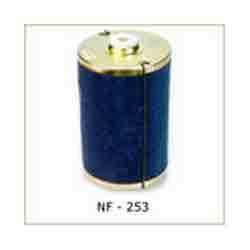 We are the renowned manufacturer and exporter of an eminent range of cloth filters. We are dealing in Cloth Filters. Market dynamics in the industrial space have created a hyper-competitive environment. It is no longer enough to manufacture the best quality product or engineer the fastest system. The vision going forward for suppliers is transformation—assisting customers in transforming to best-in-class manufacturing. - BF - Butter fly for 14" to 60" filter press. - CF - Centrifuge filter for 12" to 60". - FBD - From 7 pipes to 42 pipes FBDs.